In this Oct. 17, 2017, file photo, Sen. Lamar Alexander (R-TN) answers questions following the weekly Republican policy luncheon at the U.S. Capitol in Washington, DC. 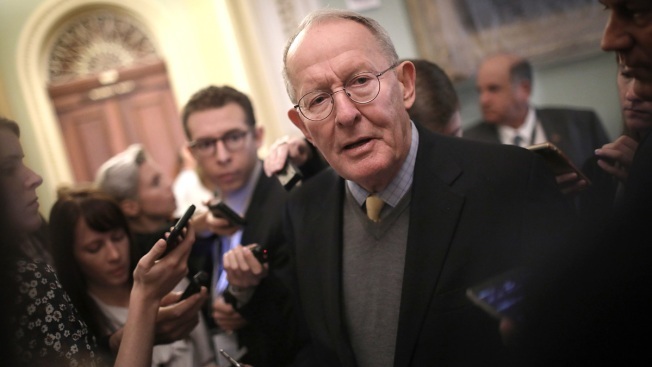 Sen. Lamar Alexander, R-Tenn., announced Monday that he will not seek election to a fourth term. The state's senior senator, Alexander has a solidly conservative voting record but is known in the halls of the Senate as a consensus-builder on policy. Under GOP term-limit rules, the next Congress, which begins in January, will be his last as chairman of the Senate's Health, Education, Labor and Pensions Committee. "I have gotten up every day thinking that I could help make our state and country a little better, and gone to bed most nights thinking that I have," he said in a statement. "I will continue to serve with that same spirit during the remaining two years of my term."